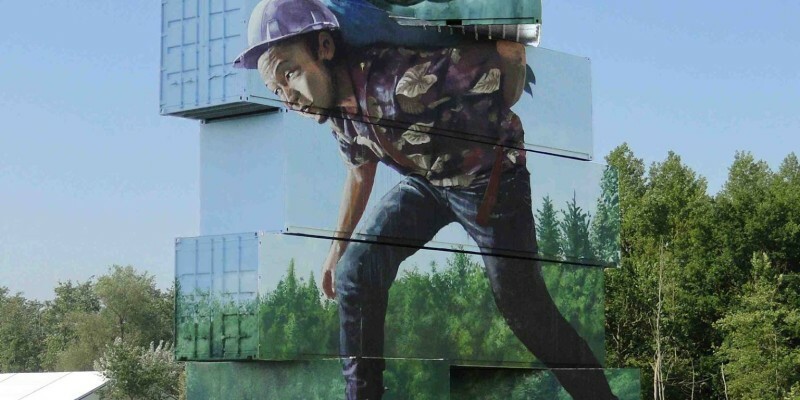 After moving to Brisbane as a child, Fintan Magee began drawing shortly after. In his early teens he was exposed to Brisbane’s graffiti culture and began painting on walls. After his degree in Fine Arts and moving to Sydney, he continued to gain a reputation, oftenly described as “The Australian Banksy”. Magee’s work is recognized for its lack of a political message and its humor. 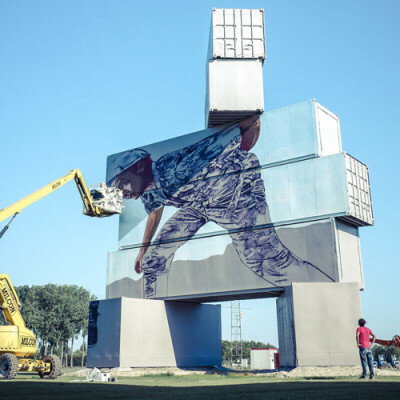 Moving away from traditional graffiti in recent years, his large-scale murals often inhabit the isolated, abandoned and broken corners of the city. Mixing surreal and figurative imagery, his paintings are deeply integrated with the urban environment and explore themes of waste, consumption, loss and transition and contain a sentimentality and softness influenced by children’s books. 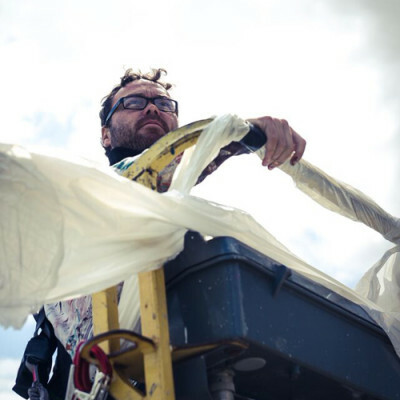 Fintan Magee has traveled extensively, completing projects in Sydney, Melbourne, London, Vienna, Los Angeles, Miami, Buenos Aires, Copenhagen, Moscow, New York, Oslo and Dublin amongst others. 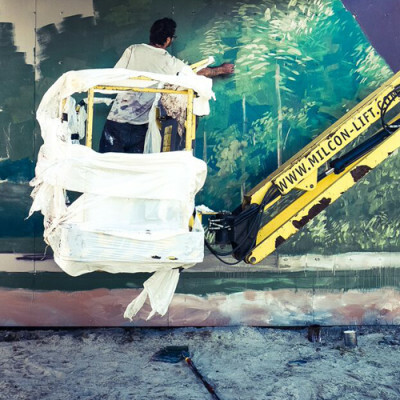 His diligence, technical skill and progressive approach to painting have solidified his reputation as one of the leading figures in Australia’s Street Art and Contemporary Mural movements. After his degree in Fine Arts and moving to Sydney, he continued to gain a reputation, oftenly described as “The Australian Banksy”.